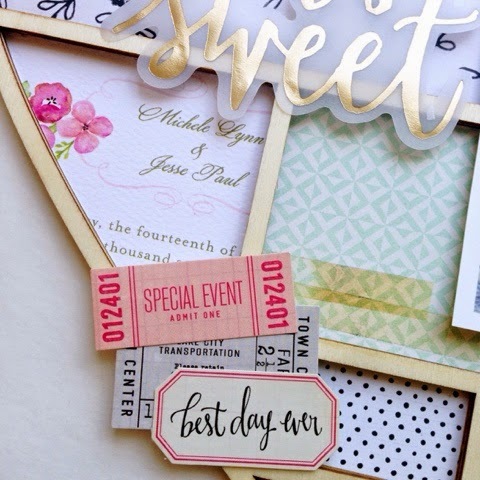 Our newest issue at Paper Issues is Let's Get This Party Star-ted and Par-ty Heart-y sponsored by SugarPea Designs. 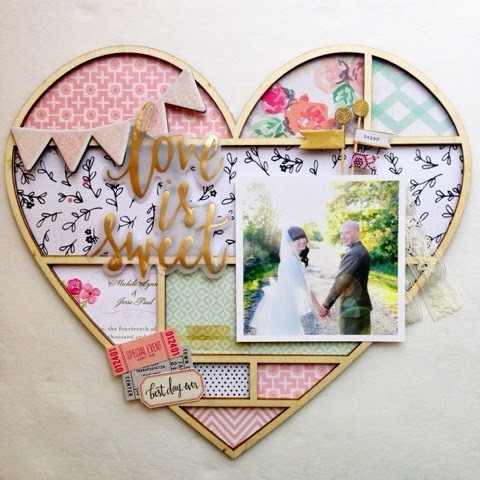 I decided to go with the heart and party suggestions and made this frame for good friends of ours using one of their wedding photos. Michele and Jesse's wedding was so pretty. I knew Maggie Holmes' newest line, Confetti, would be perfect for this photo. 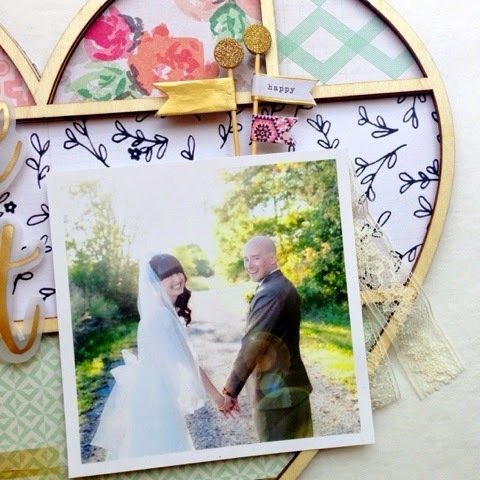 I love this wood veneer frame that is part of the line. I had so much fun filling up each compartment with different papers. Some of the tables at the reception had lace tablecloths, so tucked a piece of lace behind the photo as a nod to that. Standouts are always one of my favourite parts of Crate Paper's lines. I used two tucked behind the photo at the top. 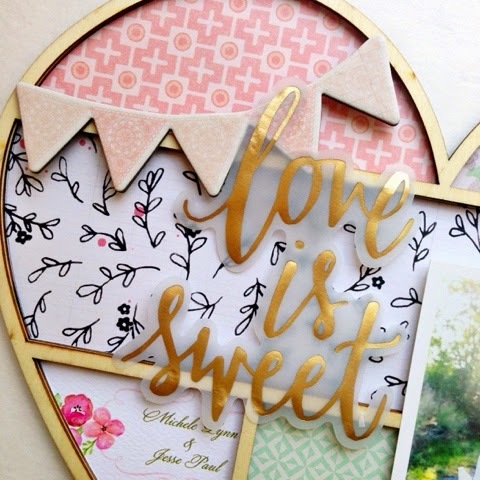 I used a large vellum die cut for the title and place the pink chipboard banner behind it. I love that added dimension. Michele and Jesse had the most beautiful wedding invitations I have ever seen. 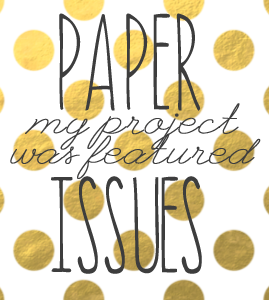 I kept ours and decided to use part of it in one of the compartments in place of another patterned paper. I then added a few stickers from the 6x12 sheet and called it done.